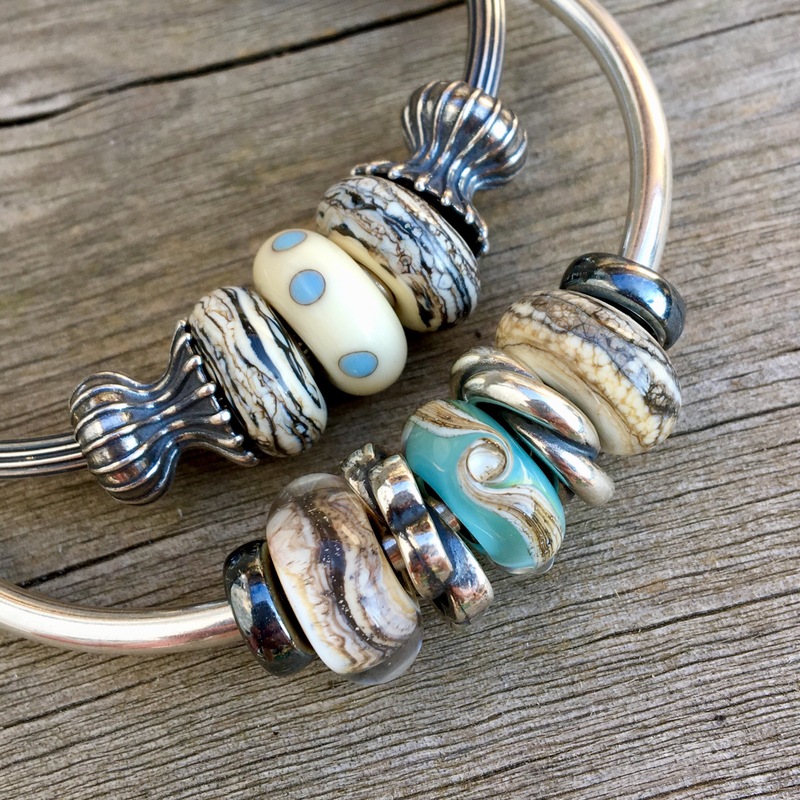 The new Marble bead is such a great neutral so I thought I’d make up a few combos. It costs $34 USD/$45 CAD. Since the base is ivory, I wanted to use it with an older bead that is ivory with light blue dots, called Beige/Blue Dot. The glass beads on the bangle in front are Cozy, Traces and Marble. This is a recent favourite bracelet with peach tones in the Blossom Shade on the left and a Feldspar Moonstone on the right. Now that the days are getting shorter I’ve been taking a lot of evening sun photos! For a mocha kind of look I used the Brown/Light Grey Leather Bracelet. 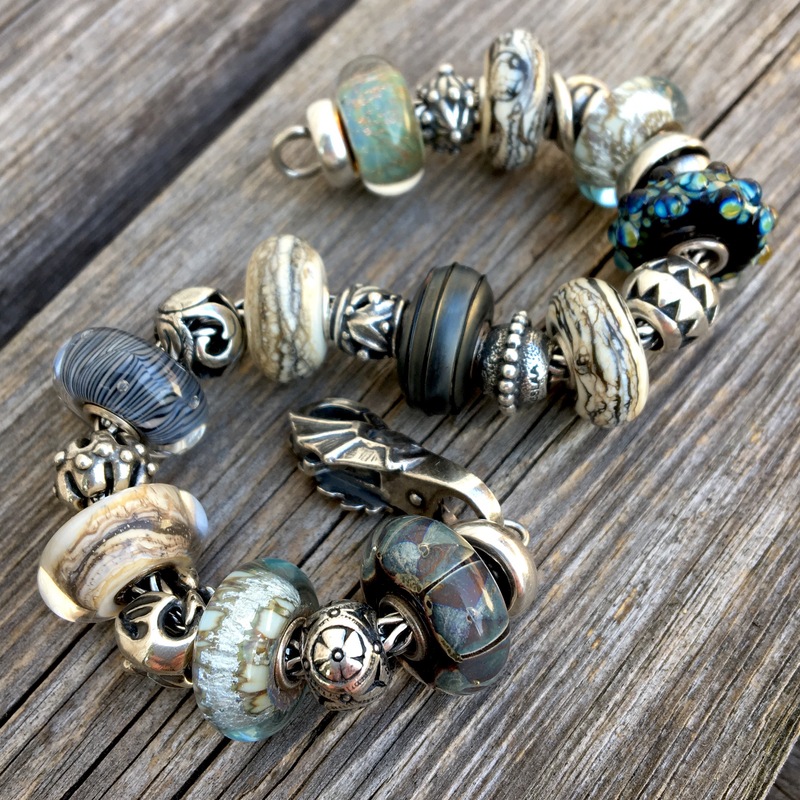 On the bracelet are three Marble beads, Marble Dot, Dancing Dragons, Mocha (the coffee bean) and Coffee Mug. For another neutral bracelet I tried a glass bead/silver bead alternating pattern. Since a lot of these are older beads I thought maybe newer collectors would like to know what they are. 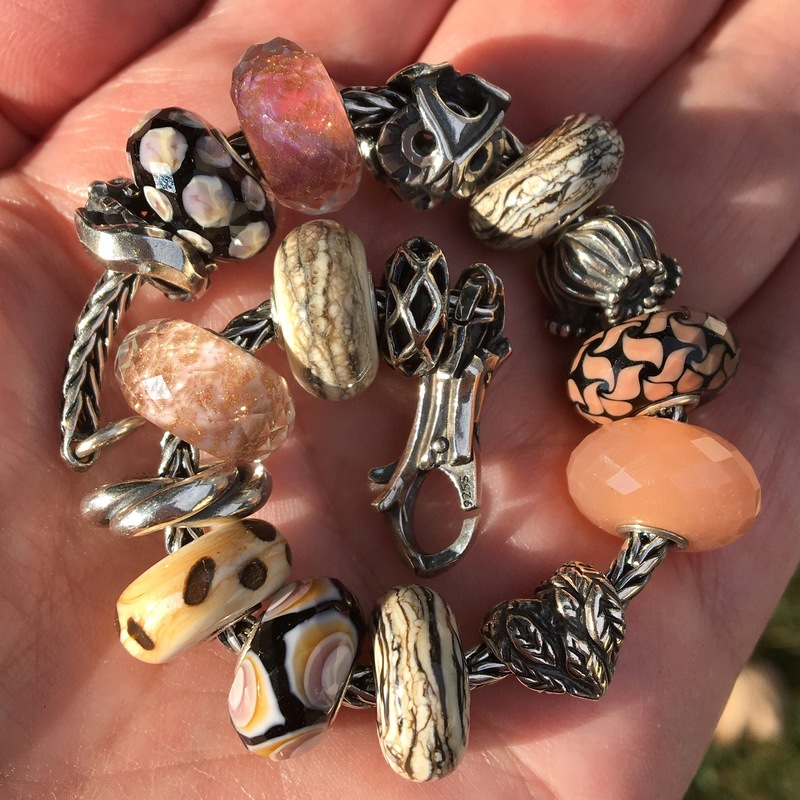 Below left to right are Rainbow Bridge, Quiet Flower Bead, Marble, Lucky Knot, Silver Mountain, Neverending, Milan, Aztec and Marble. Below left to right after the Marble are Planet (small), Black Silk, Rhythm Drum, Marble, Freedom Feather and Neptune’s Promise. Below left to right are Pumpkin Ornament, Cozy, Dancing Dragons, Silver Mountain, the bead from the Feel Good Bracelet, Cliffs and the new Best of Both Lock. There are so many lovely stylings in this post and I so like the way you marry old with new. Marble is such a subtle and neutral bead, and you’re right, it will blend with so many different colours and designs. I keep staring at the Silver Mountain and know you’ve had it for some time, but I am very drawn to it thanks to you. Your amazing photos help me to refine my ridiculously long list for the new collection, but also consider some pieces from previous releases. 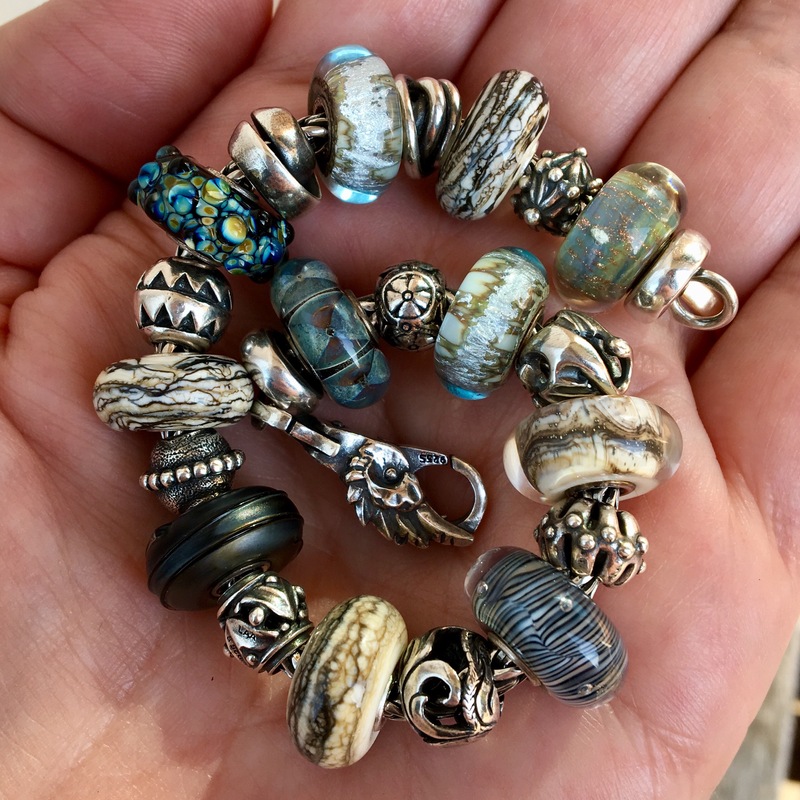 I have not had a moment to go to my local Trollbeads dealer, as you know it’s a bit of a drive from here, but when I finally have time, I will be in another of my bead frenzies and this one will have been inspired by you. I’m glad the photos might help with decision making, Sarah. Silver Mountain is such an interesting bead. It’s very organic looking and I love the flash of silver and the blue in the glass overlay, as you can see that with a turn of the wrist. Hi Martha, There are so many wonderful things here that I don’t even know where to start! 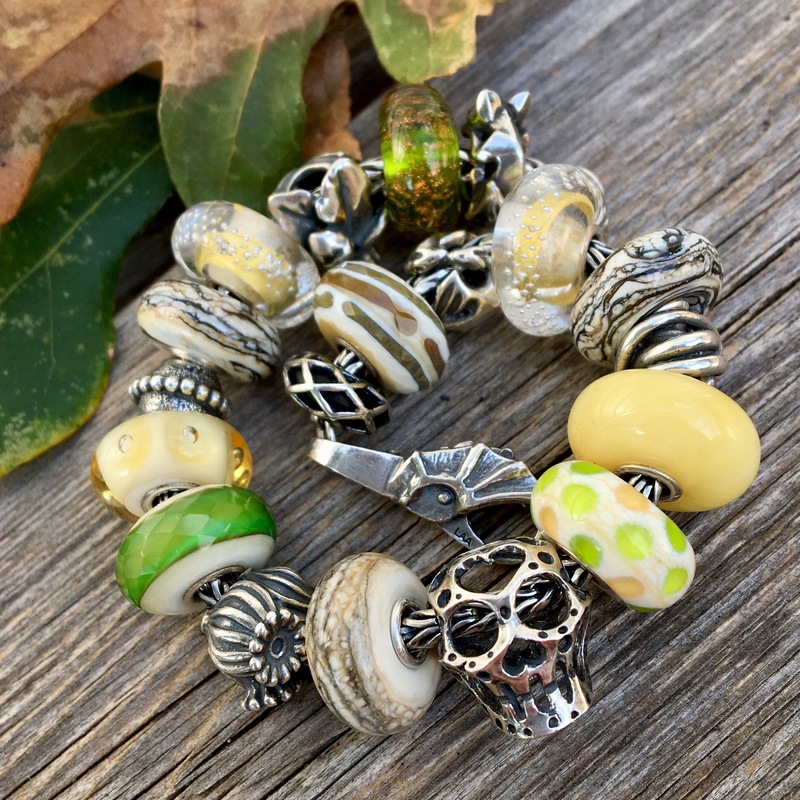 I just love the Marble bead, it seems to work with everything. I have been wanting the Beige/Blue Dot for ages. I love your mocha bracelet. Maybe I should just eliminate the ones that I don’t like…oh wait…there aren’t any that I don’t like! Martha, you are not helping my wish list!!! Hi Suzanne! Isn’t the Beige/Blue Dot wonderful? I was so happy to see that it goes with the Marble beads. I’m happy you like the combos here as I had fun putting them together. The wish list just never ends! 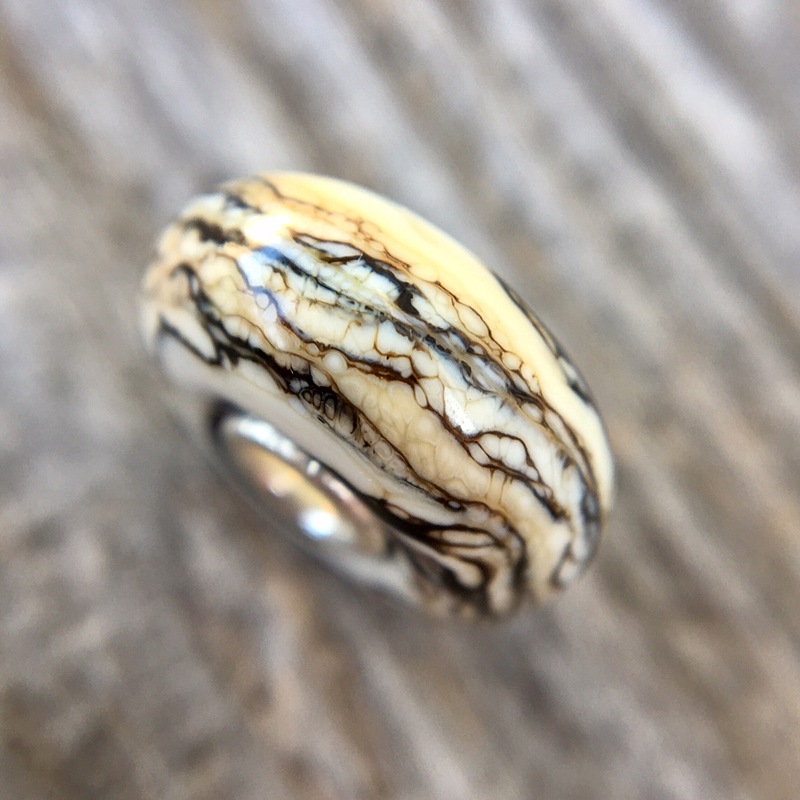 I agree that Marble is a great bead, and it looks so versatile. I’d like at less two of them, since I mostly wear bangles these days. I think a pair would look great flanking a striking central bead. 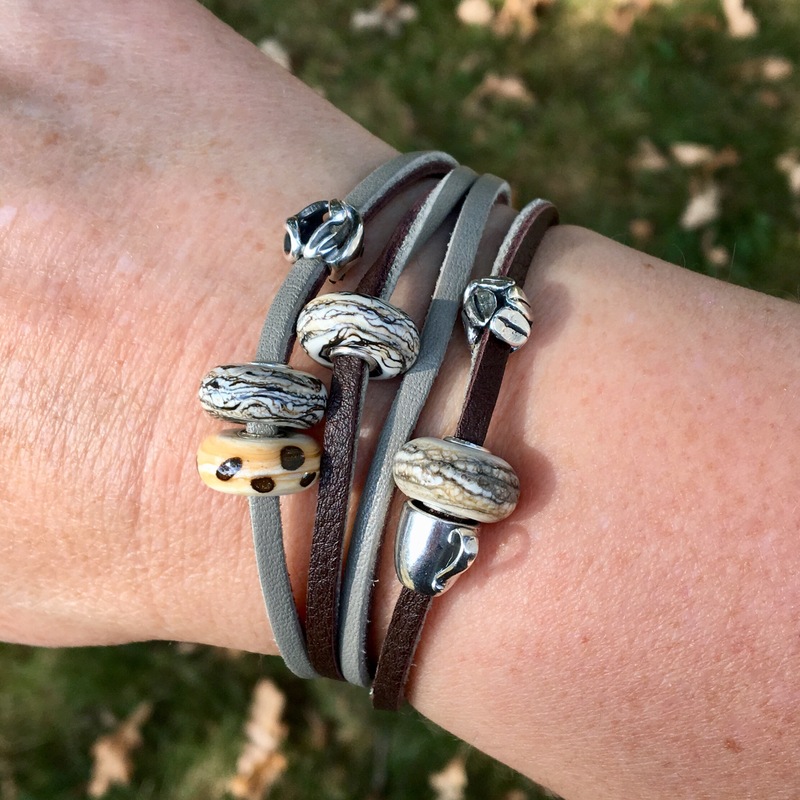 I like all of your combos and am torn between the one with the peach accents and the neutral bracelet with the silvers as my favorite. It’s funny you should mention bangles Kim, as I am wearing either one full bracelet or a bangle or two these days, having pared down from perhaps a larger stack. Ooo-what about two Marbles with a Black Onyx in between them? 😍 I am so hooked on the peach shades and obsessed with Too Faced Peaches and Cream cosmetics these days. 🍑 I just got a Coral Stripe bead and wow, does it ever look great with a Feldspar Moonstone and Voice of Wind. It’s on my InstaStory right now. The neutral bracelet strikes me as more of a wintertime bracelet, I’m not sure why. I hope you haven’t been having the same heat wave we have! We even had indoor recess today as it was so hot!! Oooh, I like the idea of using the Onyx as a focal piece. And what if you had an entire bracelet with alternating Onyx and Marble? We have indeed been suffering from the heat wave. It’s been miserable all week. I think it’s supposed to break tomorrow and I can’t wait! 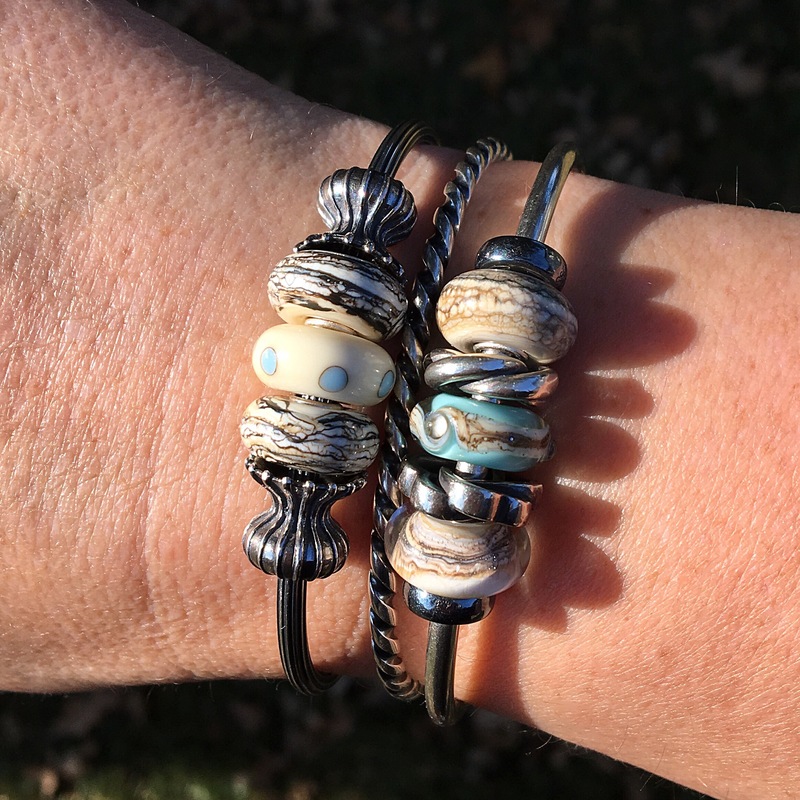 Oh I love your idea for a bracelet with just the Onyx and Marble or even Marble Dots! And yay for cooler weather! !